The staff were very accommodating and friendly. It was an ease to check in. I love that they practice express check out as well. The room is big enough for 3 people and the place has complete furnishings, toiletries and kitchen items. You don’t need to ask for anything else. The elevator is fast and the location is awesome. It’s just across Gbelt 5. Will definitely be back if we plan to stay in Makati longer. We stayed at alcoves 17 and it is actually a privately owned unit in BSA tower just across Greenbelt 5. Instructions on how to check-in were sent via email after booking. The person in charge was present upon arrival. We stayed in a nice and bright 2 BR unit with balcony, very spacious for a group of 6. There are 3 CRs. Cleanliness is almost perfect except for 1 CR which has molds on the walls. The kitchen is functional however the electric stove is quite slow/ low heat, cooking might take longer (as in longer) than usual. Towels, lines, 1 bottle of water, and tissues are provided. Our booking does not include a parking space, so expect an extra charge for parking if there is an available parking space otherwise just park in Greenbelt. Great location, very quiet and nicely presented. The unit is cleaned every 2 days and has cooking facilities. I had only 2 issues - the hot water seemed to not be available all the time (storage tank) and there was no broom / dustpan, so simple cleaning up was not an option. However, the location and ease of access more than made up for those things and overall the experience was great. definitely use this option again. Location, location, location! Its all about the location. Its in front of Greenbelt and totally accessible with any kind ride UBER GRAB TAXI since its easy to find. The Condo was big and spacious and you can really relax and feel safe at the same time. Value for money for its location are a thumbs up! I wasn't sure what to expect from this. It's a privately managed apartment in BSA Towers, but it's really well set up and professionally run. The room is spacious and clean, there's a fridge and it's secure. Great view out over Makati and comfortable bed. The unit is simple and comfortable. We are grateful that they have an accommodating friendly staff to welcome us. Parking is good/secured with a minimal fee. Maybe an additional drinking water or dispenser. 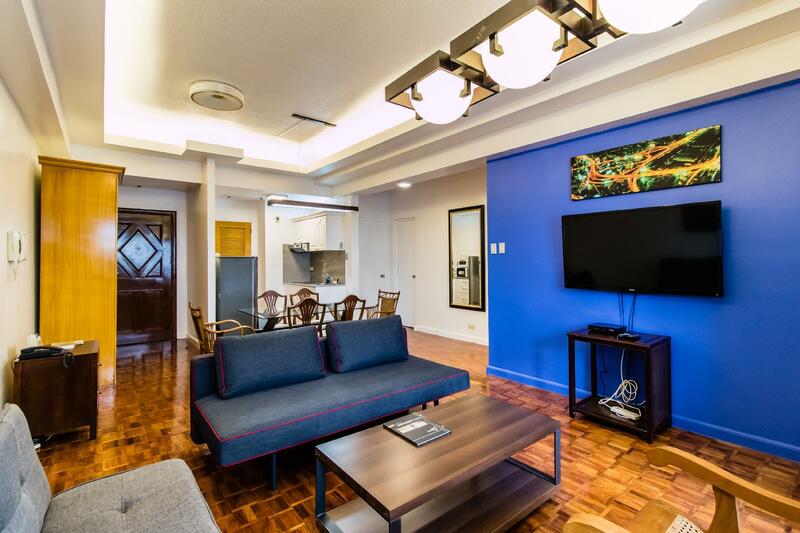 Alcoves is located in front of Greenbelt 5.Its very accessible and very convenient. They have 7/11 at the entrance. Secured and the staff were very accommodating. Even if it doesn't have front desk, checking in and out is very convenient. Its clean and comfortable. And you can get the value for your money. Highly recommended for everyone who wants to stay near Greenbelt Area. Overal, our stay was fantastic...will definitely come back and recommend to families and friends. I would like to suggest a broom/mop available for the floor. my little girl loves to run around barefoot. The Alcoves folks were incredibly flexible and helpful during our stay. We had some setbacks, and could not arrive at the originally scheduled time, but their management not only adjusted, but were incredibly sympathetic. Also were always available and helped us with storing and delivering baggage (for example). Next time I am in Manila, I will be staying at Alcoves - I just hope they won't be seeing sold out! 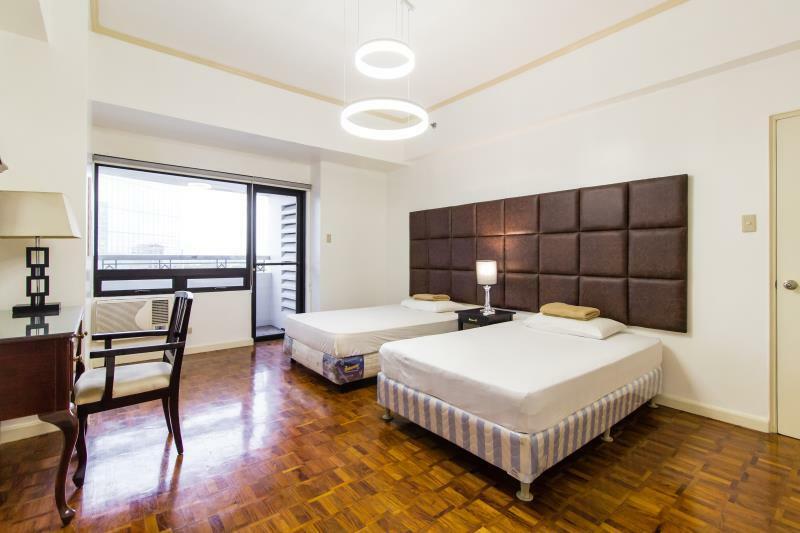 This is a condo located in the heart of Makati, almost inside of Greenbelt. In other words the location is really good, and it is not far from the airport either. The studio itself is pretty spacious and has a kitchenette. The check-in procedure is pretty interesting also with the owner meeting you in the room. Before that you get the room key code e-mailed to you. It makes the procedure very quick and means you can move in at any time of the day even if the owner can't be there to meet you. On the downside the shower pressure is pretty low and the bed blankets are pretty thin. 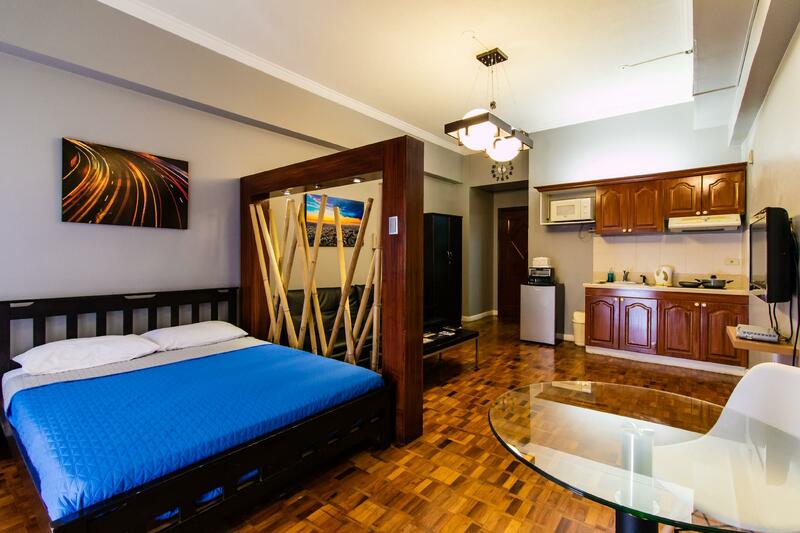 Overall I would still definitely recommend Alcoves to travelers who want to stay within "the bubble" in Manila. 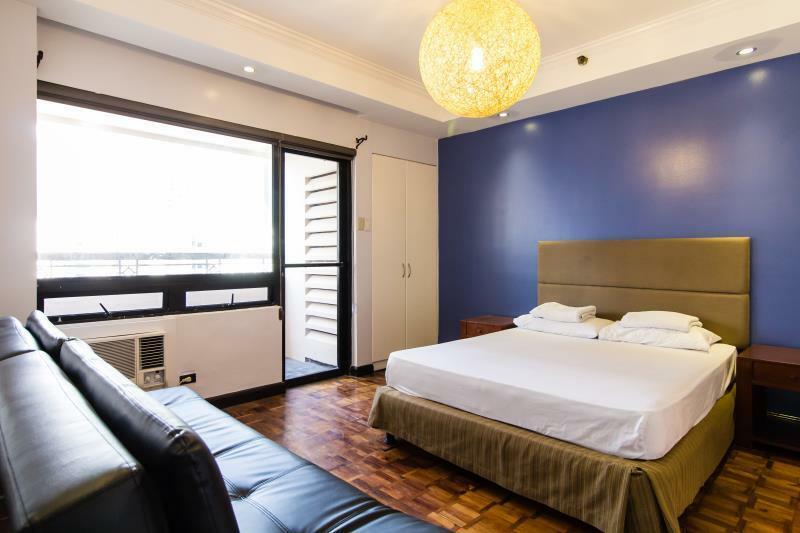 It is a lot cheaper than staying in a hotel in the same area, and you basically still get a better room for that lower price (Makati is still a bit expensive compared to outside "the bubble" of course). We enjoyed our stay with Alcoves Apartments. No need to check in, all you need is go directly to your room and key in the emailed key codes and room number. 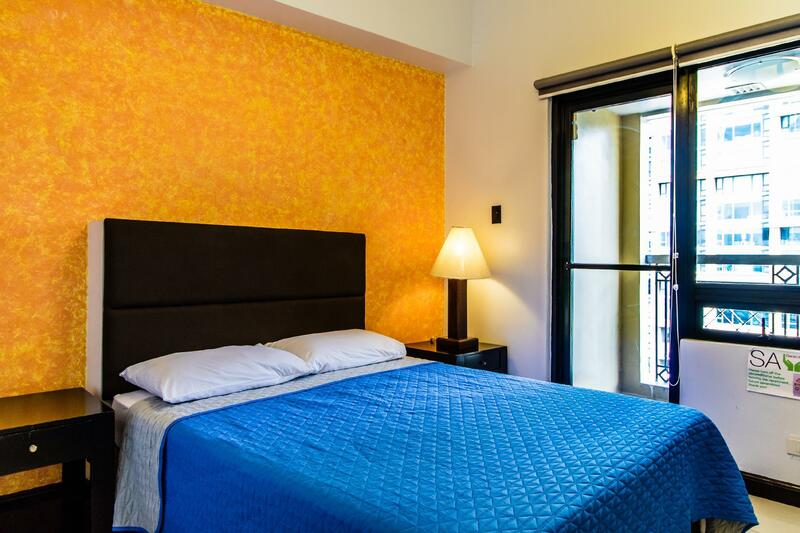 The location is centrally located and very near to shopping areas and restaurants. Will definitely go back to this apartment. 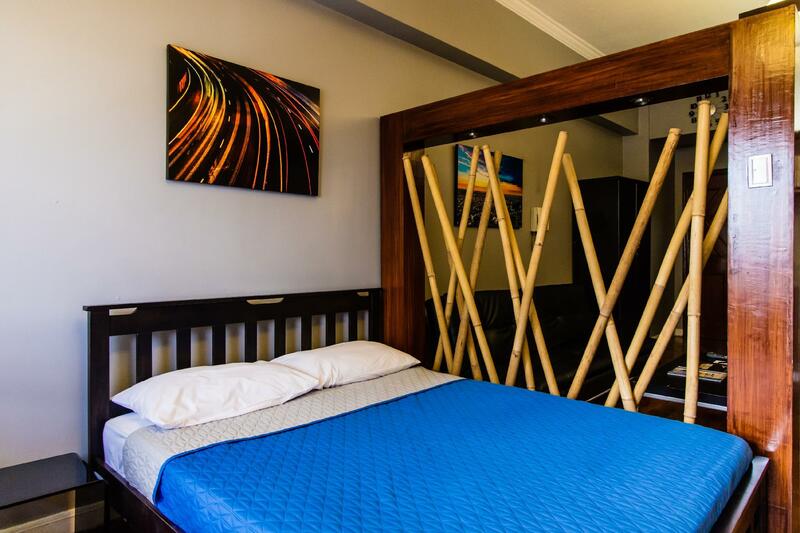 Self-catering studio; clean and comfortable room; location provides easy access to dining/shopping facilities, public transport and airport. I enjoyed my stay at the Alcoves 5 - Greenbelt. The studio was spacious, tidy and functional; everything worked. The bed was comfortable; towels and beddings were fresh and clean; with spare towel, pillow, linen, toilet roll, etc. in the wardrobe. Great location; just across Greenbelt; easy to find. Very suitable for long stay as the studio has a proper kitchen with built-in cooker, microwave, oven toaster, kettle, fridge, kitchen roll/towels. They will also provide iron/ironing board on request, free of charge.